In a 4-3 decision Thursday, the Supreme Court affirmed that a race-conscious admissions program used by the University of Texas is legal under the Equal Protection Clause of the 14th Amendment—at least, as that program was implemented in 2008 when UT rejected Abigail Fisher’s college application. Justice Kennedy’s majority opinion in Fisher v. University of Texas (Fisher II) was far from an enthusiastic defense of the need for race-conscious admissions programs at public universities, but it affirmed the status quo in reiterating the narrow range of circumstances in which such programs are constitutionally permissible. For that reason, advocates for racial justice can mark Fisher in the win column. Fisher first came before the Court during the October 2012 term (Fisher I), at which point Ms. Fisher had already graduated from Louisiana State University with a degree in finance. The Court set forth the principles the UT admissions program needed to satisfy under the 14th Amendment (discussed below), said that the Fifth Circuit had failed to apply those principles, and sent the case back for the Fifth Circuit to reconsider. More recently, the Court considered two race-based admissions programs at the University of Michigan in 2003. The Court (in two opinions by Justice O’Connor) struck down the undergraduate school’s use of a point system to boost applications from people of color while it upheld the Law School’s use of race as a “plus factor” as part of a flexible assessment of other “soft variables.” Those decisions also established “attaining a diverse student body”—for the benefit of all students—as the only permissible basis for an affirmative action program. An affirmative action program that sought to remedy the effects of past discrimination, for example, would not pass constitutional muster. These Michigan cases established the needle which UT needed to thread if it wanted to promote diversity at its flagship university while satisfying strict scrutiny under the Equal Protection Clause. UT thus developed an intriguing strategy to diversify its student body, by taking advantage of widespread racial segregation in the state’s public schools: it would offer admission to all students who placed in the top 10% of their high school class, up to 75% of the class. UT would then admit the remaining 25% according to an individualized inquiry which would consider race as one factor among many, much like the Michigan Law School plan approved by the Court. In alleging that her rejection from UT was racially discriminatory, Ms. Fisher challenged only the latter aspect of the admissions program (as she did not place in the top 10% of her high school class). In Fisher I, Justice Kennedy described three controlling principles to assess the constitutionality of a public university’s race-conscious admissions program. First, such a program would have to satisfy strict scrutiny under the Equal Protection Clause (that is, it must be narrowly tailored to achieve a compelling government interest, and diversity qualifies as such an interest). Second, courts should defer to a university’s academic judgment, accompanied by reasoned explanation, that a diverse student body would promote its educational goals. Third, the university bears the burden of proving that a race-neutral approach would not accomplish the same goals. In Fisher II, Justice Kennedy determined that UT had met its burden with respect to all three principles. In large part, Kennedy appears to have been persuaded by the comprehensiveness of the data produced by UT in support of its need to go beyond the Top 10% program to achieve the educational benefits of a diverse student body, the modesty of the program (using race as “but a ‘factor of a factor of a factor’ in the holistic-review calculus”), and a desire to defer to UT’s academic judgment. Justice Kennedy’s Fisher II opinion (much like his Fisher I opinion) is far from a model of clarity. Justice Kennedy went to great lengths to explain that UT’s admissions program was one-of-a-kind, that the Court’s ruling was meant only to capture a moment in time, and that the opinion had “limit[ed] value for prospective guidance.” Justice Kennedy referred to UT’s program as unique (he used the Latin), although it is unclear why he thinks other states will not adopt a similar approach now that the Court has given its seal of approval—Texas is not unique in its de facto racially segregated public schools. He also noted that the opinion did not intend to approve of UT’s admissions program today or in the future, explaining that UT should continually assess the need for a race-conscious admissions policy. In doing so, he also fell prey to the same dubious assumption as Justice O’Connor in the Michigan cases: that racism in the United States will soon become a distant memory (Justice O’Connor stated that affirmative action would cease to be necessary by 2028). This premise was misleading, even before a major U.S. political party nominated an overtly racist demagogue as its standard bearer. Still, Justice Kennedy should be commended for his evolution on affirmative action. He voted to strike down the use of race as a plus factor in the Michigan Law School case less than 15 years ago, and less than 10 years ago joined the majority in striking down Seattle’s use of race in school assignments to further Seattle’s goal of racially integrated public schools. In fact, Justice Kennedy has never before affirmed an affirmative action program. Particularly before the death of Justice Scalia, many commentators suspected that Fisher II would effectively end race-conscious admissions at public universities, and deny countless students of color a fair shake in the application process. Fisher II instead preserved the status quo, for which the four justices in the majority should be applauded. In Epic Systems, Lewis, a technical writer, filed a suit in federal court in Wisconsin on behalf of himself and other technical writers alleging that his employer – Epic Systems Corporation – had violated the Fair Labor Standards Act (FLSA) by misclassifying workers as exempt and depriving them of overtime. In response, Epic-Systems moved to dismiss Lewis’s claim and compel individual arbitration because he had signed an arbitration agreement that waived his “right to participate in or receive money or any other relief from any class, collective, or representative proceeding.” Lewis, however, responded that the agreement’s class and collective action waiver was unenforceable because it interfered with his right to engage in concerted activities under Section 7 of the NLRA. The district court agreed with Lewis’s arguments and the Seventh Circuit affirmed. Chief Judge Diane Wood explains in Epic Systems that “there is ‘no doubt that illegal promises will not be enforced in cases controlled by the federal law.’” Epic Sys. Corp., 2016 WL 3029464, at *6 (quoting Kaiser Steel Corp. v. Mullins, 455 U.S. 72, 77 (1982)). As reasoned in D.R. 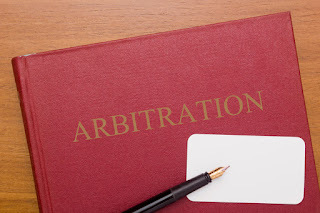 Horton, Section 7 grants employees the substantive right to act “concertedly for mutual aid or protection” and mandatory arbitration agreements that bar an employee’s ability to bring or join class or collective workplace claims restrict this substantive right. D.R. Horton adversaries claim that the Board and now the Seventh Circuit have expressly rejected the Supreme Court’s clear instructions on how to interpret the Federal Arbitration Act (FAA), which says that absent some specific “contrary congressional command” as to whether a claim can be arbitrated, the FAA “requires the arbitration agreement to be enforced according to its terms.” CompuCredit Corp. v. Greenwood, 132 S.Ct. 665, 673 (2012). However, as Chief Judge Wood explains in Epic Systems, “[b]efore we rush to decide whether one statute eclipses another, we must stop to see if the two statutes conflict at all.” Epic Sys. Corp., 2016 WL 3029464, at *5. The U.S. Supreme Court has made clear that “when two statutes are capable of co-existence ... it is the duty of the courts, absent a clearly expressed congressional intention to the contrary, to regard each as effective.” Vimar Seguros y Reaseguros, S.A. v. M/V Sky Reefer, 515 U.S. 528, 533 (1995); see also Matsushita Elec. Indus. Co. v. Epstein, 516 U.S. 367, 381 (1996) (implied repeal should be found only when there is an “‘irreconcilable conflict’ between the two federal statutes at issue”) (quoting Kremer v. Chem. Const. Corp., 456 U.S. 461, 468 (1982)). Epic Systems elucidates that the FAA and NLRA are reconcilable by way of the FAA’s savings clause, which provides that if “the provision at issue is unlawful under Section 7 of the NLRA, it is illegal, and meets the criteria of the FAA’s savings clause for non-enforcement,” i.e., that an arbitration agreement’s conflict with federal law is grounds for invalidation. Epic Sys., 2016 WL 3029464, at *6. When Congress drafted the FAA, it anticipated that conflicts could arise between it and other Federal laws, and by including the savings clause, it created a means of harmonizing the FAA with laws such as the NLRA. The Seventh Circuit’s decision splits with last year’s Murphy Oil USA, Inc. v. N.L.R.B., 808 F.3d 1013 (5th Cir. 2015), in which the Fifth Circuit held the exact opposite, ruling that the employer did not commit unfair labor practices by requiring employees to sign its arbitration agreement or seeking to enforce that agreement in federal district court. The Fifth Circuit rejected the Board’s position, but the Court did not profess to have the last word on the matter. The Fifth Circuit wrote, “[a]n administrative agency’s need to acquiesce to an earlier circuit court decision when deciding similar issues in later cases will be affected by whether the new decision will be reviewed in that same circuit…We do not celebrate the Board's failure to follow our D.R. Horton reasoning, but neither do we condemn its nonacquiescence.” Murphy Oil, 808 F.3d at 1018 (referencing Samuel Estreicher & Richard L. Revesz, Nonacquiescence by Federal Administrative Agencies, 98 YALE L.J. 679, 735–43 (1989)). The circuit split on the enforceability of class action waivers has the legal community reeling. While D.R. Horton, Epic Systems, and the present judicial climate have emboldened the plaintiffs’-side employment law bar nationwide, the debate continues to arouse long-held sentiments that workers’ rights should be subjugated in the name of commerce and contractual rights. The Supreme Court will likely have to address the conflict presented in D.R. Horton, Murphy Oil, and Epic Systems, and people in the labor and employment law community are on the edge waiting to hear who ends up in the seat formerly held by Justice Antonin Scalia.